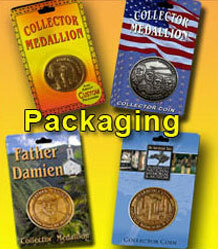 We are sure you will agree with many others that now your organization can have fine coins and medallions that it can be proud of to provide to your customers. 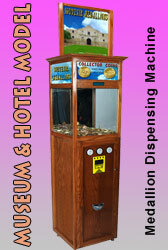 Medallion Mint proudly produces all coins and medallions "In-House" and we manufacture our own exclusive maintenance free medallion dispensing machines . 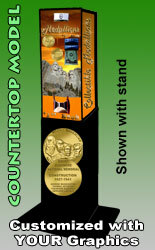 Medallion Mint provides quality, collectible Coins and Medallions for Amusemuent Parks, Museums, Tourist Attractions, Commemorative Events and Anniversaries, Zoos, Aquariums, Resturants, Golf Courses, Hotels, Historical Sites, National Parks etc. 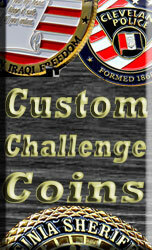 With our unique program, you can get started and have your very own Medallions customized to your specifications. 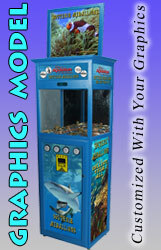 Medallion Mint has a very unique program that has proven to be very lucrative for many of it's customers.